I’m going to skip over the day that we spent in Ragusa and other Baroque towns mostly because that is not my area expertise. They were beautiful places, and the one story I will tell is that when we had lunch, I accidentally got a sandwich that wasn’t actually a sandwich but some sort of wrap filled with uncooked meat. Fortunately, I was spared any food poisoning. We got to Syracuse at the end of a long day visting all those Baroque towns, but the back of the bus where the cool kids sat (the Latin class) suddenly sprung to life when we realized that we were approaching Syracuse. The water that is in the picture above is part of the bay called the Big Harbor in Thucydides where many of the naval battles took place. Around the edge of the bay was where the two sides continuously battled and tried to out-maneuver the other with quickly built walls. Now the area looked just like anywhere else. Unlike a more modern battlefield like Gettysburg, the landscape was not dotted with memorials and statues to those who fell there so long ago. 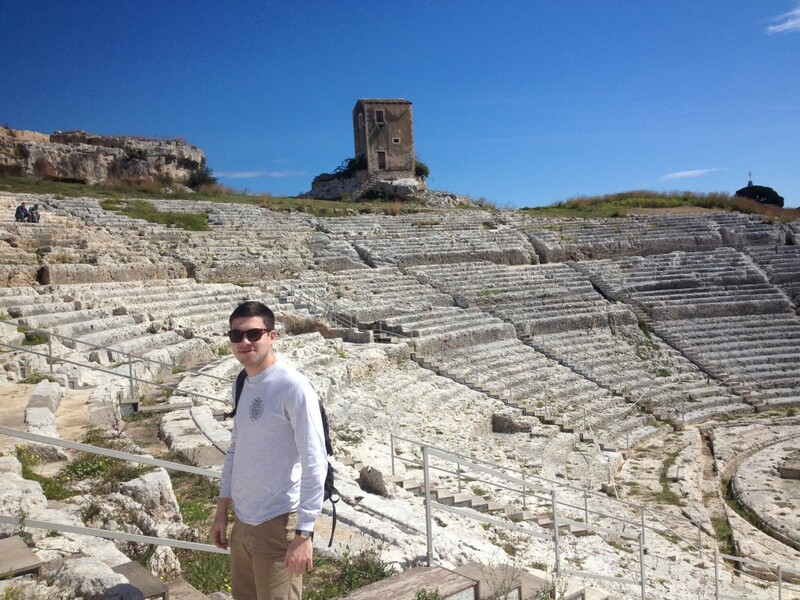 The next day we went to the archeological park where the old Greek theater and the quarries of Syracuse were. We had yet another awe-inspiring moment when Victoria sang part of an opera in one of the caves created in the quarries. The size of the quarry was surprising to me; the rock walls had to have been 100 feet high meaning that there was some real substantial rock being moved. And the theater, still basically the same besides for some erosion after so long, was an exquisite piece of architecture that made even my barbaric self ready to watch a play. Danny Banks somehow not sick of me. On most trips, the amount that we got done today would have been exceptional, but it felt like an off day for us given how much we have been doing. I mean we visited the tomb of Pirandello and explored Porto Empedocle, went to the temples and museum at Agrigiento, and walked around Ragusa. That is a heck of a lot to do. As cool as all the things that we did today were, my favorite moment was when we were walking back from Pirandello’s tomb and spotted the flock of sheep and their shepherds. For one, it was a beautiful day and so the sight of a flock of sheep was just the cherry on top for the pretty scene. Also, the shepherds were in a pretty built up area. Pirandello’s tomb is not out in the middle of nowhere. You can’t tell it from my photo, but there is a lot of buildings around there. It was a contrast of style and time between the old agriculture and rustic lifestyle of Sicily against the more industrial surroundings of Porto Empedocle. 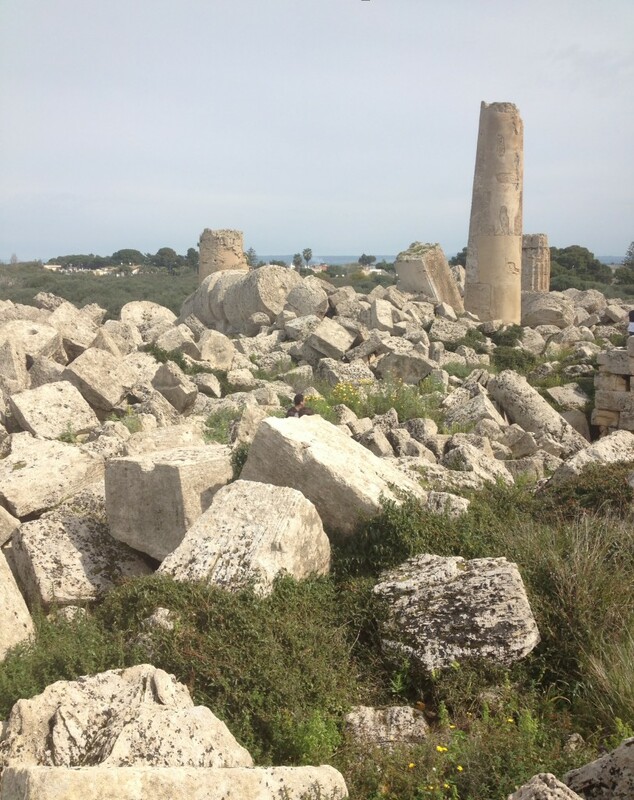 As for the temples of Agrigiento. You already know from the Acropolis that the Greeks loved to put their temples in places where they could be easily seen, and the temples at Agrigiento stretch out over a plateau that makes them almost visible from the ocean. These temples were some of the most well-preserved ones that we saw, down to the fact that the walls are still burnt because the Carthaginians burned the wooden interior to the ground when they invaded over 2,000 years ago. One temple that was never actually completed was so audacious in its planning that I don’t think it had any hope of ever actually being completely. Today was one of the heaviest driving days of the trip as we drove from Agrigiento to Ragusa in the southwest. A lot of the time when we were riding on the bus during the trip I would just sit back and laugh. I was in freaking Sicily. It is the point of the trip where that should have worn off, but instead the feeling has only intensified. We departed in the morning from Erice and made the drive to Selinunte, probably the most impressive group of temples that we saw in our time, even though many of them now lie in ruins. That was in some ways a blessing because it allowed us to climb into the remains of them. I think for all of us there was a little hesitation when we learned that we really could climb onto the temple ruins. We are so used to being told not to touch ancient things that the sudden invitation to freely frolic as we pleased caught us off guard. The first thing that struck me once we did start to climb onto the ruins was the sheer size of all the rocks. Until you are able to climb through them and try to jump from one to another, the audacity of the Greeks to build such huge temples doesn’t completely hit you. The pulleys, ropes, and force needed to move all of these rocks was enormous. Another thing that sticks out to me is that that many of these temples were built in democratic societies. Public funds might be used to build this monument. The urge for a culture to build something beautiful and lasting is an interesting thing. The people in Selinunte did not live easy lives, but they still decided to put extensive resources into a building that had limited value for them beyond how impressive it is. I think personally that in today’s world I would frown seeing public funds being used so extensively for something that has so little utility. At the same time, the lasting impact of creating such a beautiful thing like the temples at Selinunte goes beyond a simple cost and benefit analysis. The temples represent the human urge to create, and to create beautifully when possible. In the US we still have that urge to have monuments to wars and other events, but it seems like there is limited preference for spending extravagantly on them. If we built something with the relative amount of resources that the Selinuntans poured into their temples, it would be quite something. Again, I don’t think that is necessarily the best thing. Maybe my problem with Palermo was that I felt unsure of the scale/proportions of the place. A general rule of thumb I try to follow when in new places is to find the highest spot I can in order to get a lay of the land. 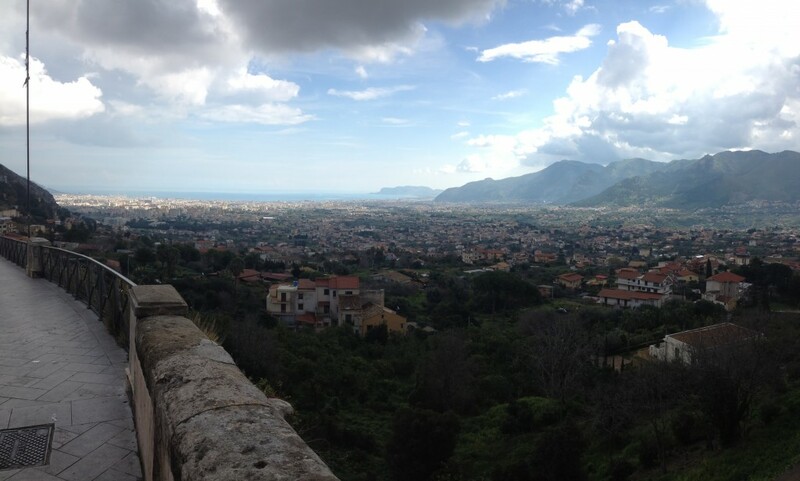 Going to Monreale allowed me to do that and get a better handle of the Sicilian landscape. The cathedral itself was also amazing. The thing that struck me was the relative age of it. The building was completed in 1182, 150 years before the building of Notre Dame. Obviously Monreale is not on the same scale, but the ability to build such a grand building at that time tells you something about the wealth of Sicily. 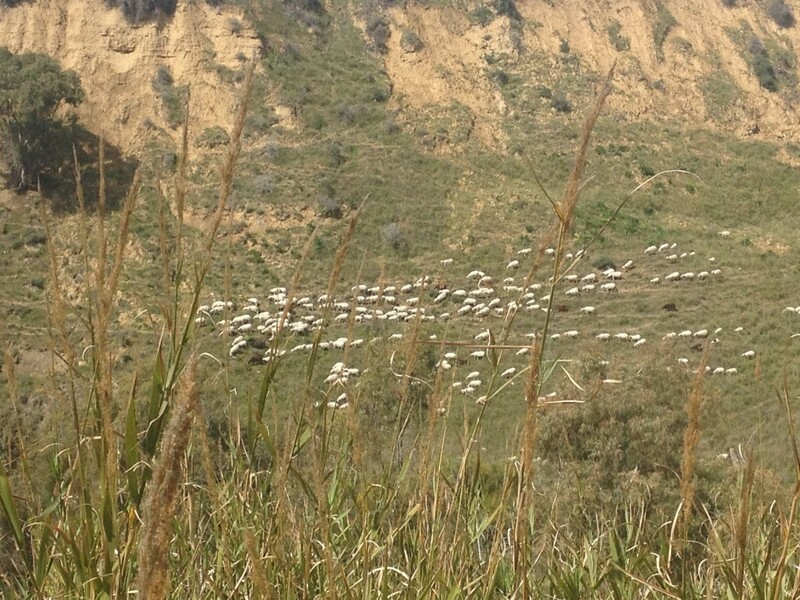 From there, it was a slow but breathtaking trip to Segesta. 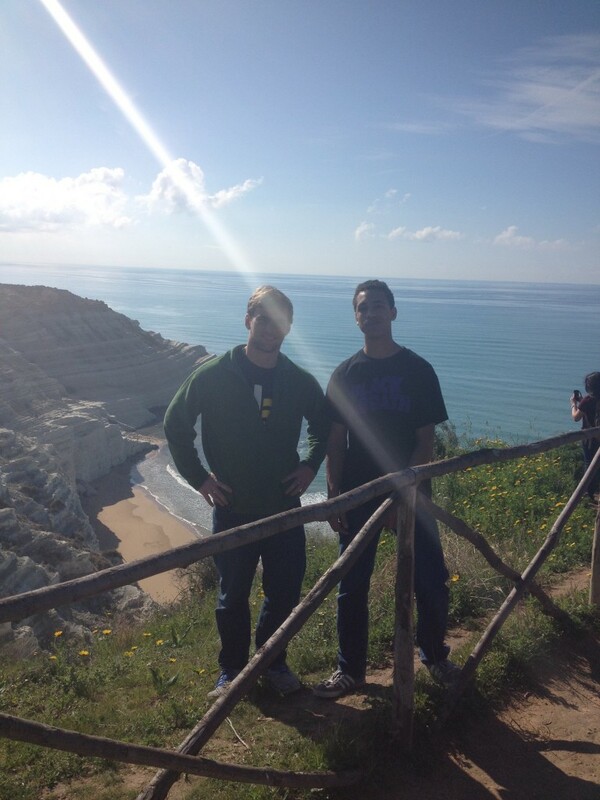 Carmelo, our bus driver, took us through some small Sicilian towns and rocky hills. Our big bus could barely fit on the road a lot of the time. The great thing about Segesta (and a lot of other places that we went to) was that there was nearly nobody else there. 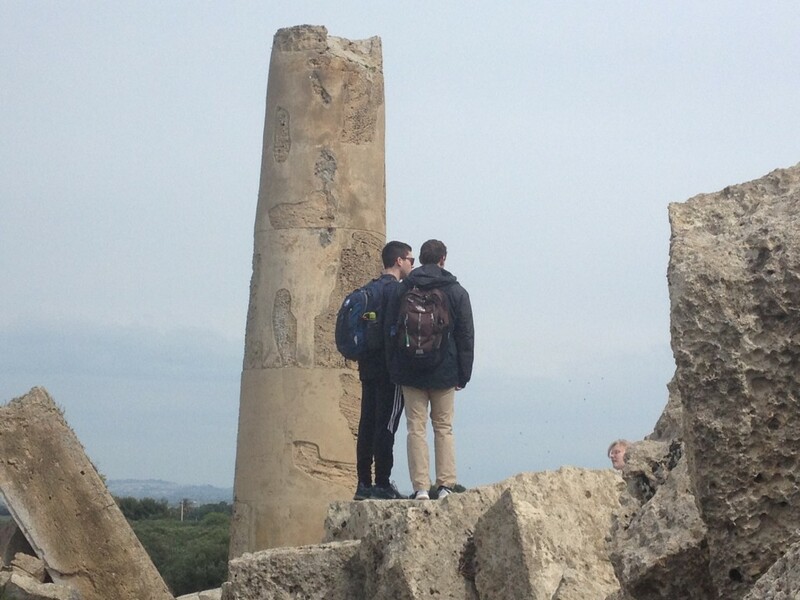 We were free to explore the Greek temple and Roman theater without being surrounded by other tourists. In the theater, my group had the opportunity to recap the first four books of the Aeneid to our classmates sitting up high. 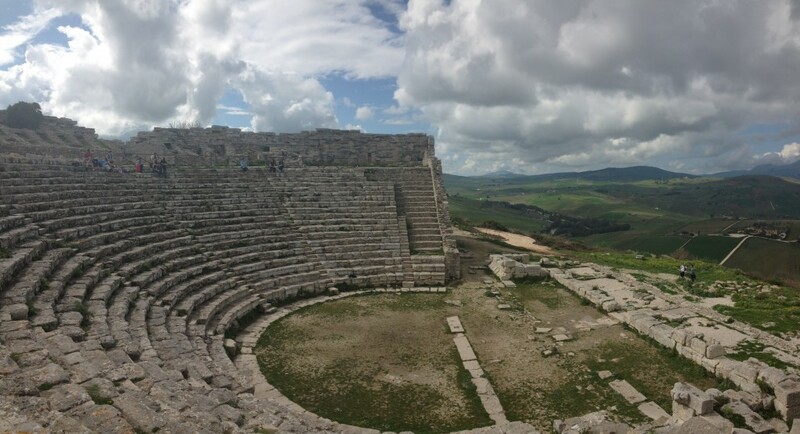 Segesta is where the Athenians sent envoys to before their Sicilian Expedition. On the site of the Roman theater that we were in was an older Greek theater that the Athenians might have been in while they listened to the Segestans make their argument for an alliance. It was special to be able to perform for my classmates in a thousands year old theater. Now that we are out of Palermo, things, at least for me, are really starting to get interesting. Palermo, the biggest city in Sicily, is not overly impressive upon first examination. I mean that as an insult. I was expecting a somewhat more modern city, or at least a more vibrant one. In some ways, the city seemed stuck in the 1960s. Or at least it’s progressing but is behind in part because of the effects from the significant bombing in World War II and the Mafia. Graffiti was all over the place, much of it political. The above fountain is one of the nicest in the city, but the story behind it tells a more complicated story. The fountain was originally from a villa on the mainland of Italy, but after the owner died, the Palermo government bought the fountain and had it moved to the city. 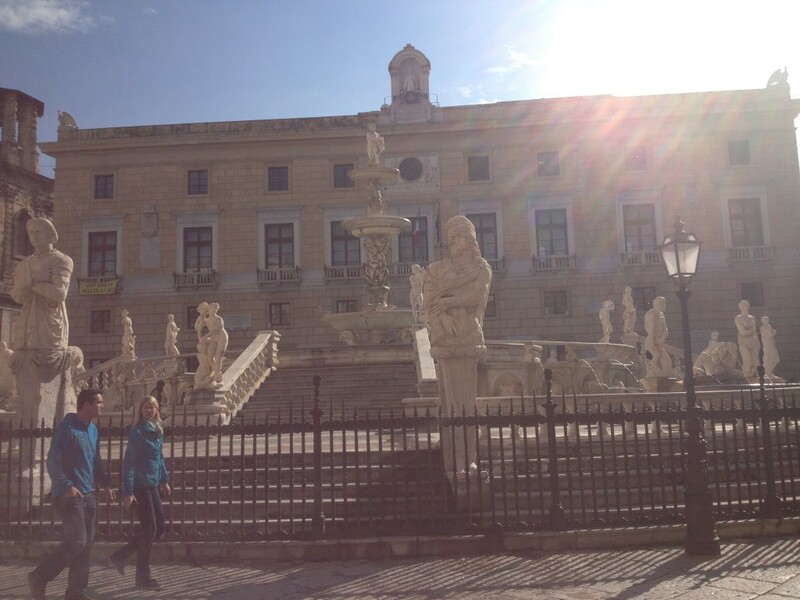 I would expect a city like Palermo to have commissioned fountains themselves, not bought the scraps of a villa. Maybe that’s a little harsh, but what I’m getting at is that Palermo to me lacked a central core. The main square of the city, based around the theater that is the third biggest in Europe, does not feel befitting to the largest city in Sicily. Perhaps most disappointing to me was walking through one of the old market streets and not even realizing that I was because there was so little activity going on. Another thing that surprised me was the area near to the water. 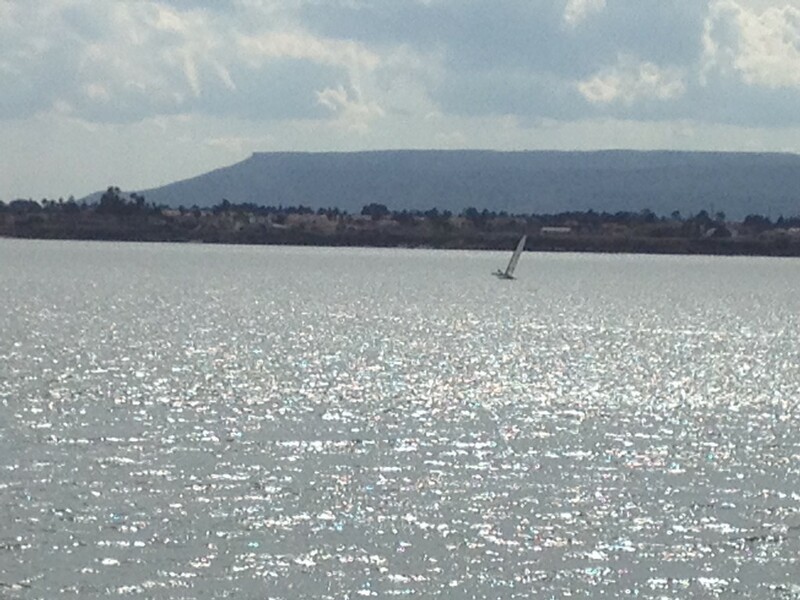 Palermo has a big active port, and then there is a long stretch of land right on the water. That land has a park on it, and so there are no buildings within a hundred yards of the water. Then, a busy road cuts parallel to the water meaning that getting from the buildings to the water is not an easy task. Therefore, unlike a lot of cities, Palermo does not have much of a waterfront district with restaurants and shops. While this post has been mostly negative, there were plenty of things that I enjoyed in the city. Learning about the anti-Pizzo organization, trying some of the good street food, and taking in the cathedral were great.